Location: Grand Hotel London (ex. 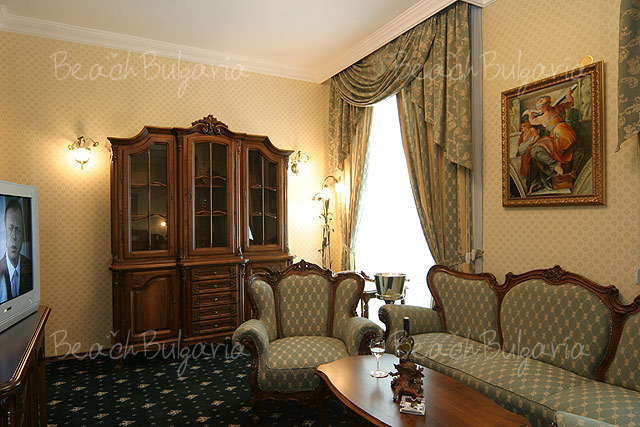 Musala Palace) is a historic hotel, situated right in the centre of Varna city. 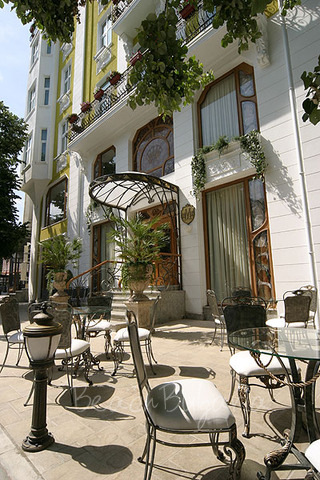 The hotel is located in close vicinity to the Varna Archaeological Museum and Dormition of the Theotokos Cathedral are not far from the hotel. The Varna Aquarium and the Sea Garden are also within easy reach. Varna International Airport is just 10 km away. 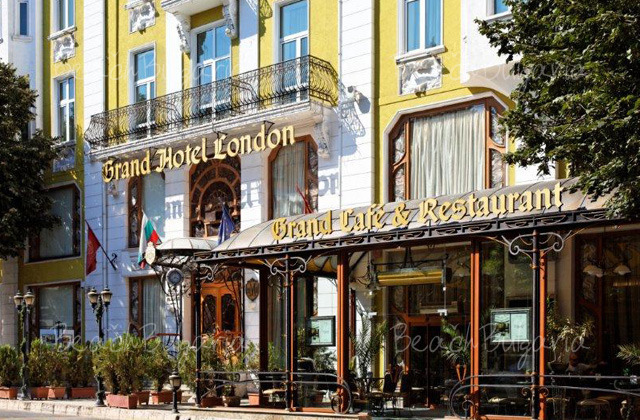 Accommodation: Grand Hotel London is a 6 storey building serviced by a modern elevator. 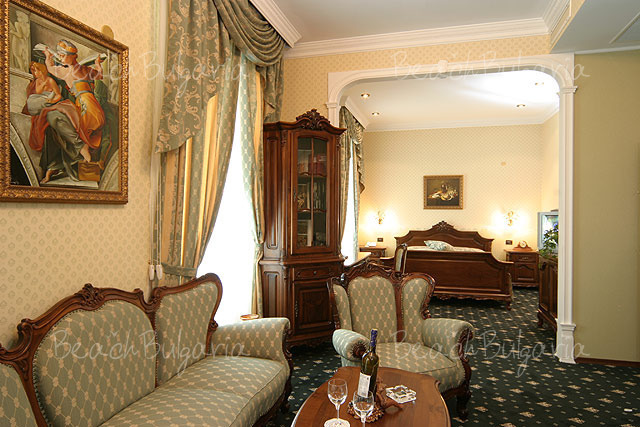 The hotel offers 4 double rooms, 4 luxurious double rooms and 4 luxurious studios. Room facilities include direct-dial phone, in-room safe, remote lighting/drapery/curtain control and hypoallergenic bedding. Towels and bed linen are changed every day. Bathroom amenities include bathrobes, toiletries, hair dryer, makeup/shaving mirror, shower and a tub. 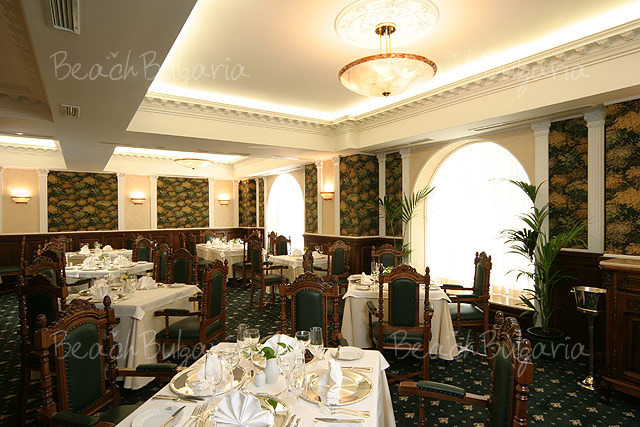 Bars and restaurants: The executive chef at the restaurant of the hotel prepares exclusive European cuisine. 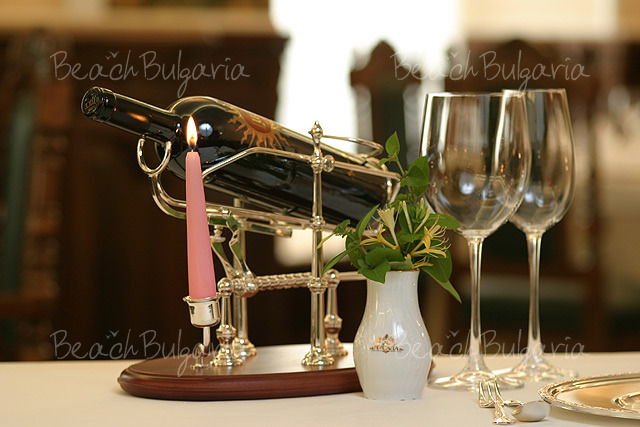 Guests can enjoy a wonderful selection of fine wines from an extensive wine list. Spa & wellness: The hotel also offers a luxury spa centre with a sauna, a bath and a jacuzzi. Conference centre: Grand Hotel London also offers a Meeting & Conference room suitable for up to 20 persons. Coffee breaks or business meal are available upon request. * The rates are in EUR per room per night, breakfast included. 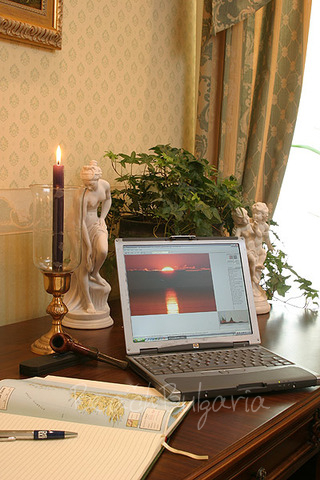 Guests of the hotel can use internet, fitness and parking for free. * Maximum capacity: Double room/Apartment - 2 persons; Studio - 3 persons. * Cancellations can be made free of charge providing details of this are received at least 7 days prior to check-in time on the day of arrival - cancellations made after this period will incur a fee equivalent to the cost of two night's accommodation. 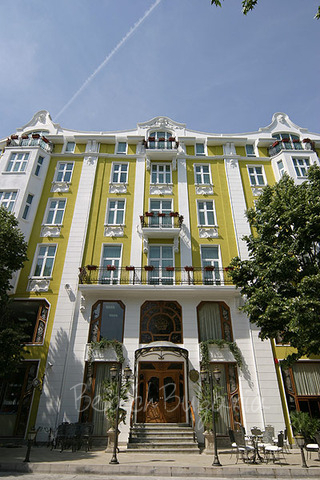 Please, post a comment on Grand Hotel London. 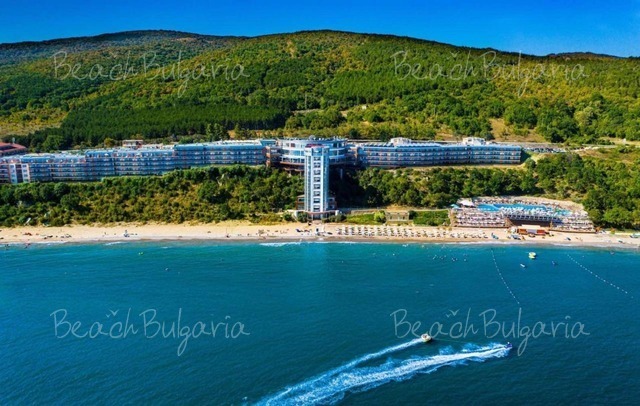 YEAR on year, Bulgaria is becoming a more popular destination for curious Brits. Want Your Teeth Fixed? 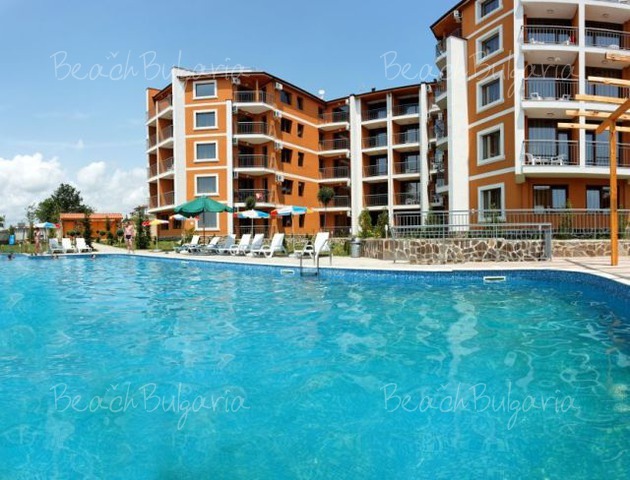 Go for Vacation to Bulgaria!